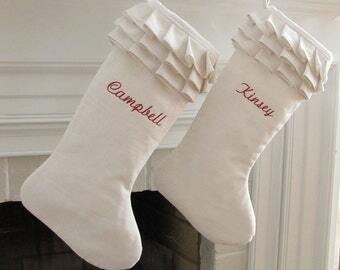 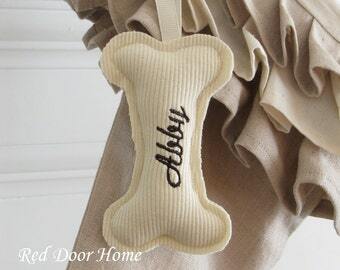 Personalize your favorite furry friend's stockings by adding an adorable embroidered dog bone name tag! 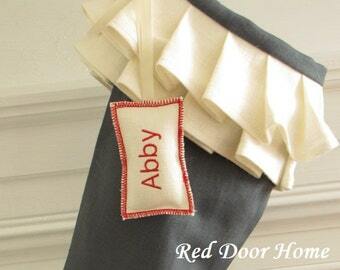 Tag shown is made from navy linen, white ribbon, embroidered in font #3 in white and edged in white. 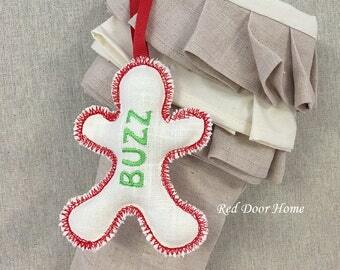 Tag is lightly stuffed with polyfil. 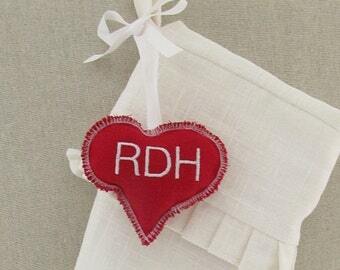 Please include in the comments section ribbon color choice (white, ivory, red, black, cranberry, bright pink, grey, bright green, navy, turquoise), name or initial to be embroidered, fabric choice (ivory linen, white linen, natural linen, navy linen, red linen, brown linen, light grey linen) and tag edging color when ordering. 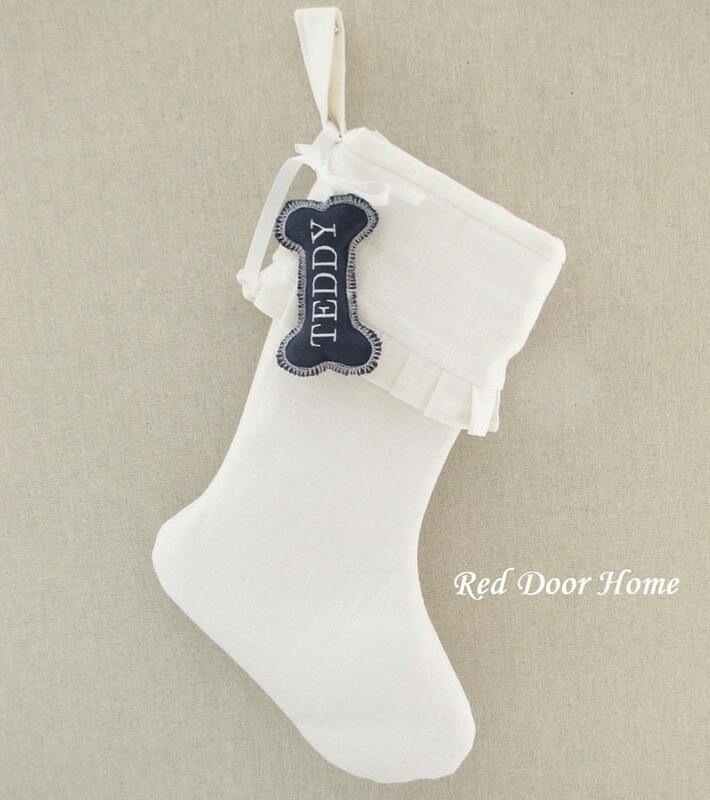 NOTE: This listing is for one dog Christmas tag only. 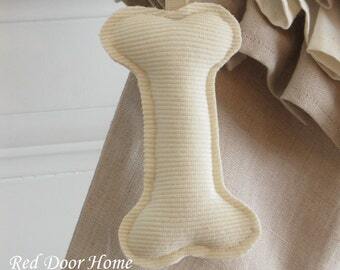 Fabric dye lots vary and I can not guarantee exact matches of items unless they are ordered at the same time. 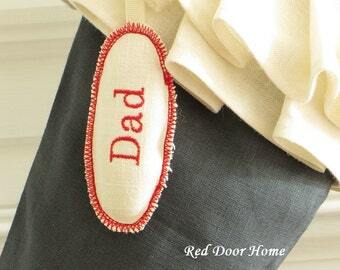 Embroidered items can not be returned unless defective.